So you’ve figured out what kind of doctor you want to be? Congrats! That’s a major milestone worth celebrating. 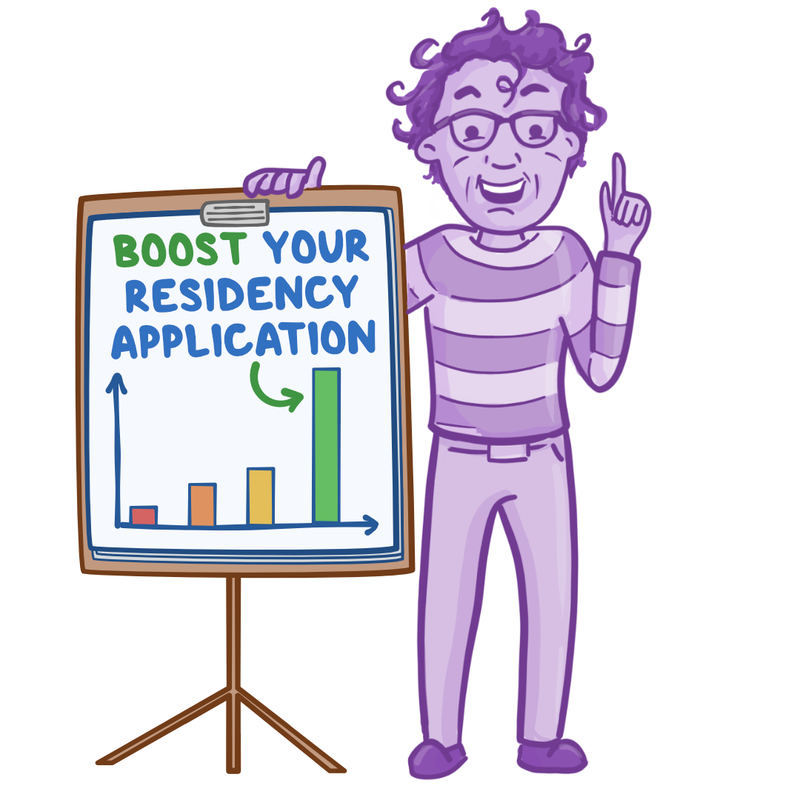 And soon enough you’ll need to start the process of applying to a residency in your chosen field. I matched in the NRMP® Residency Match way back in 1999, and I still remember that challenging roller coaster journey. More recently, I served as a confidential student advisor to UCSF School of Medicine students embarking on their own rides towards residency. Based on those experiences, I offer you my suggestions and tips so you can fulfill that next milestone—your successful Match Day outcome. Perhaps more important than which specialty you've chosen is knowing just what drives and sparks your passion(s) in medicine. You were a human before you went to medical school, and it’s important to maintain that humanity after you get your degree letters following your name. Know that it’s OK to follow all of your head, heart, and instincts. Recall that aside from the brain the only other part of the body that has serotonin receptors is the gut lining. So “trusting that gut feeling” is a legitimate strategy! Is it important that you be close to extended family and loved ones? Do you care about the cost of living? The prestige of a program? The size? Is it better for you to be a big fish in a small pond (e.g. a small program that will nurture you as one of very few residents) or a small fish in a big pond (e.g. at a place where there are a large number of residents across medical specialty areas to interact with)? If one of your extracurricular passions includes surfing, then don’t be afraid to let that be a factor in where you decide to apply. Life can sometimes be too short for you to not love where you work. It’s called a personal statement for several reasons. And it’s been my experience that far too many applicants fill theirs with empty platitudes (who doesn’t love the specialty they’re applying in? Who amongst us hasn’t had meaningful experiences with patients?). The key to making your personal statement stand out is to make it personal. Say who you truly are. And then be sure to run drafts by several different people who know you well, like mentors and peers. Your best editor(s)? Loved-ones who knew you before you went to medical school. Ask them for honest feedback—does this accurately convey the person you know as me? What’s missing? What’s really superficial here? There isn’t only ONE right residency for any of you, and so too there isn’t only one way to apply. Different medical specialties have different cultural norms and expectations. Is experience conducting research or scholarship important to your field? Is it better to expand your clinical experiences through volunteer or away rotations? Is it vital to get honors grades in rotations, and if so which one(s)? Which of the USMLE® Step 1, 2, or CS scores (or COMLEX-USA® exams) is the most important (or are they really even that important at all)? The only way you’ll get informed (and relevant) answers to these questions is to seek out specialty-specific mentorship. And remember this can take many forms. To name a few: 1) faculty and near-peers above you at your school, 2) online student fora, and 3) affiliation and engagement with specialty-specific regional, national and international organizations. When I was an MS-4 applying to residency I got advice to limit the number and types of programs I should apply to. One of my faculty mentors said “Why spend so much money when psychiatry isn’t fiercely competitive and you’re a qualified candidate?” But then I talked to an intern in an entirely different field. On an elevator ride to see our next patient he said, “Amin it’s your life—if applying to that many programs helps you decide what you want, then who is that faculty member to prevent you from doing it?” That was the truly better advice for me at that moment on my journey. Ultimately it’s your future, and I sincerely hope it is amazing for each and every one of you. Well-being and happiness are ideals we should strive for in both our patients’ and our own lives. I wish you clarity and a smooth ride on your next phase of professional development. Amin Azzam, MD, MA is an Adjunct Professor at UCSF School of Medicine and the UC Berkeley – UCSF Joint Medical Program. He is also a Simulation Educator at Samuel Merritt University, and the Director of Open Learning Initiatives for Osmosis. His clinical focus is group psychotherapy for patients with chronic illness.